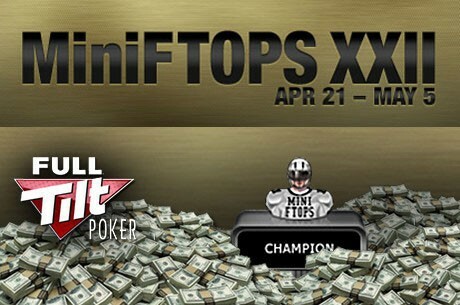 To celebrate the return of MiniFTOPS, we're delighted to offer you a free $13 MiniFTOPS tournament ticket when you deposit $10 or more by 23:59 ET on 27/04/2013. Заглавието на новината е подвеждащо. Няма билети на 1/10 от цената. Според мен не. Изрично пише депозит. Аз депозирах 10$, пък ще видим. To celebrate the return of MiniFTOPS, we're delighted to offer you a free $22 MiniFTOPS tournament ticket when you deposit $20 or more by 23:59 ET on 01/05/2013.